Easy-to-construct legal / letter size "fold and tape" box with matching double flaps on the top and bottom. 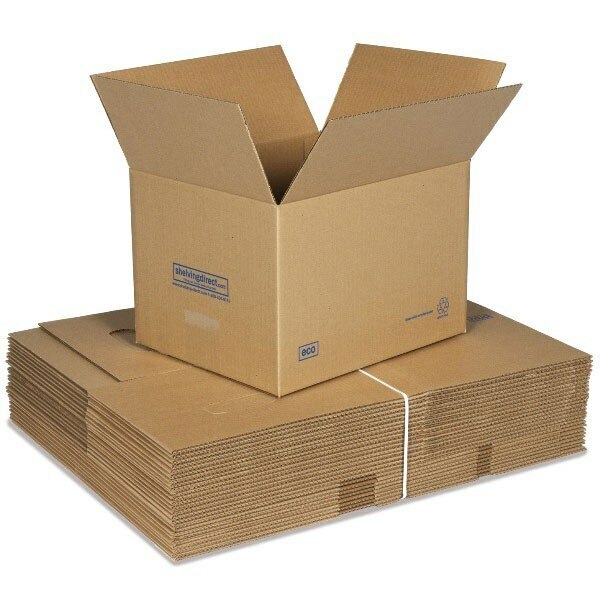 This cardboard box model is the most used for the transport and storage of all kinds of products with a maximum weight of 200 lbs per box. To close the upper and lower flaps it is necessary to use tape or sealer. Designed for the budget minded who are looking for good value for the money. They are the perfect accessory for Metal Point boltless shelves for files, for either heavy, medium or light duty versions. Corrugated Boxes sold in bundles of 25 boxes. US manufactured economy 1.2 cubic foot letter / legal corrugated document file box. Size: H-10" W-15" D-12". Easy assembly. Single-wall sides and bottom construction. The perfect solution for your organizational needs.